If you ever need a simple method so your project manager can track and compare your actual versus your estimate, try our “Resources by Item with Used and Remaining” export to Microsoft Excel. calculated Percentage Complete for each Item to assist with Progress Claim administration. 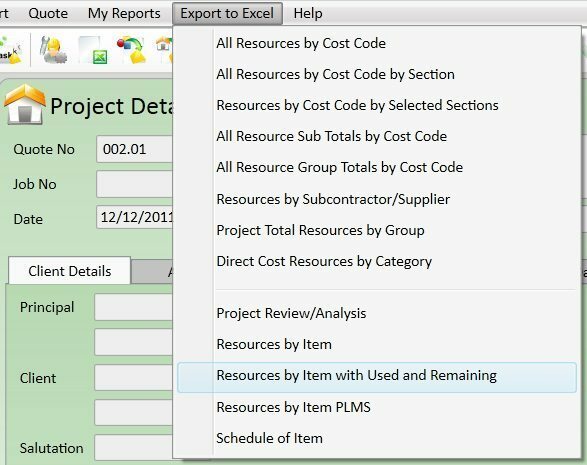 To produce this, open your Project and from the Project Details window select “Export to Excel” then “Resources by Item with Used and Remaining”. Click here to download an example in Excel.